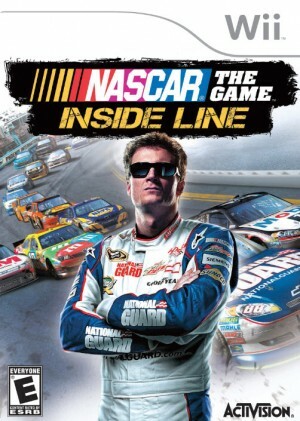 Nascar The Game: Inside Line is a great step in the right direction towards a really good Nascar game. Unfortunately, it often falls short of the mark, particularly in the areas of graphics and AI. 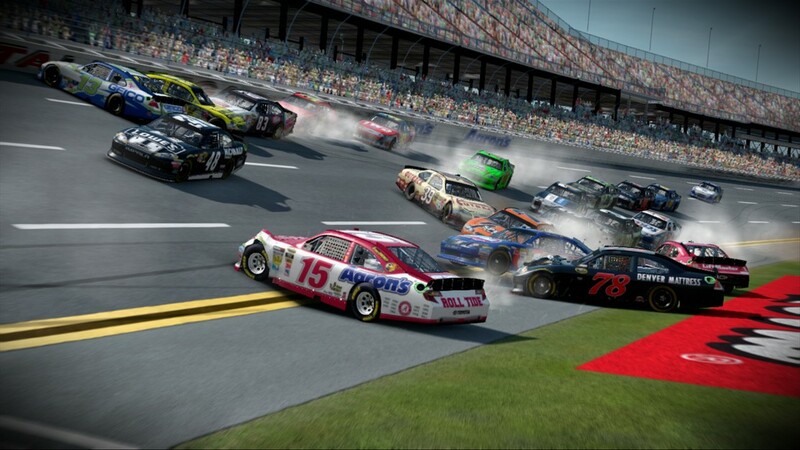 Still, it’s a fun game offering tons of customization options and Nascar realism that fans will love. 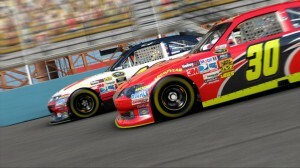 Eutechnyx hopes to bring Nascar fans a new obsession with Nascar The Game: Inside Line. With an expansive career mode, realistic and authentic tracks, and the drivers we all know and love, they have all the pieces for a great Nascar game. But can they pull it all together, or will fans be left wanting more? 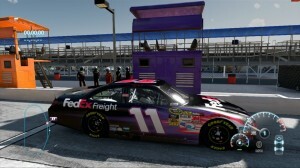 If you’ve played Nascar games in the past, you will be familiar with the standard formula of playing as one of your favorite racers, and working your way through all your favorite tracks. While this is a nice touch, and it’s always fun to play as your icons, it doesn’t really give gamers a true sense of what it’s like to be a Nascar driver. None of them, even the best of the best, started out at the top, and in Nascar The Game: Inside Line, neither will you. In a move that makes the game both more challenging and realistic, Nascar The Game: Inside Line has you starting out your career as an unknown rookie. You have a very basic car, you have no sponsors, and you have no experience on the track. The only way to get all of those is to race against the best of the best, and hope for the best. As you work your way through the career (and hopefully up in the rankings), sponsors will take note. Earning those coveted sponsorships will earn you points that can be used to upgrade your car, a much needed resource that will gradually help you place higher, earn more sponsorships, upgrade more, etc. There isn’t instant success, even if you’re good, and that makes for a much more realistic racing experience. As you begin Nascar The Game: Inside Line, you are treated to an opening sequence that is absolutely a joy to look at. The environment is crystal clear, the cars are magnificent, and you’ll say to yourself, “Wow! I cannot believe how good this looks on the Wii.” And then, after some pep talks from Carl Edwards, you’ll make your way onto the race tracks and be disappointed. As good as that opening sequence looks and sounds, the look of the racing experience itself is just not up to par, and the stark difference between the two makes it only more clear that the visuals will not be the strong point in this game. 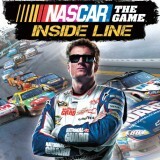 As disappointing as the graphics are, there are a lot of really good things to say about Nascar The Game: Inside Line. 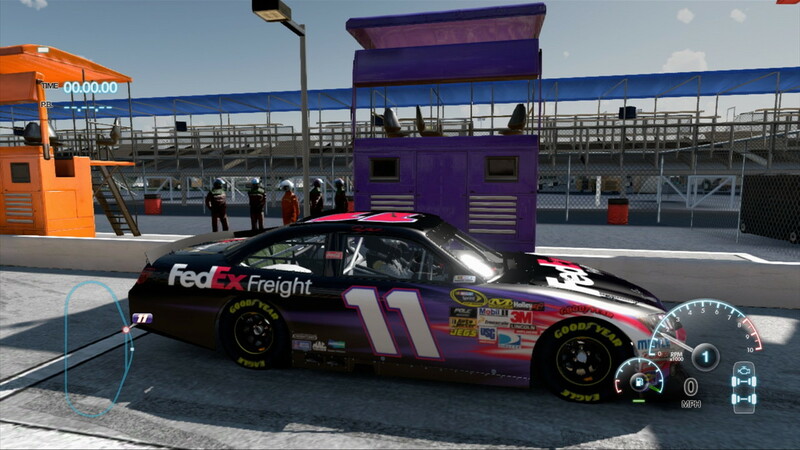 For one thing, a lot has been done to give fans the realistic Nascar experience. Ray Evernham himself is your crew chief, providing tips and comments along the way. You race on all of the iconic tracks you would expect, like Bristol and Talladega, and the introduction to the tracks are just great. You’ll get spanning panoramic views of the tracks, cars, and spectators, while announcers Mike Joy and Darrell Waltrip discuss the upcoming race. Even the sponsors have that realism going for them, with one of the first ones offered being Diet Mountain Dew, rather than some made up company. You also get a lot of opportunities to customize your racing experiences, which is a real plus. As you start the game, you’ll do a short drive and then have some drivers assists suggested for you based on your driving style. I loved this idea, as it gives you a place to start as you learn more about what assists suit you. These assists – for steering, brake, traction control, stability control, and ABS – can be tweaked as often as you like. As you begin each race, you can also set the skill of the drivers, how many laps you want to race, and damage to cars. On the track, the wheel is in your hands – literally, if you’ve got a Wii racing wheel attachment for your WiiMote. You steer your car by tilting the WiiMote, with braking and accelerating controlled by the “1” and “2” buttons. As the race begins, you and the other cars will be already going, with control switching to you when you cross the finish line. This isn’t always the smoothest transition, and I think would have preferred starting from a full stop, particularly with regards to realism. Your career is presented to you in order, and while you can skip ahead to other tracks, you will miss out on the sponsorships and experience you would gain from them (not to mention the whole idea of a realistic career). As you move on to a track, you will be given a progression to follow to the races, starting with some practices, then the qualifier, and finally the race itself. If you are in a hurry, you can just skip past practice and qualifying and go right to the race, but it will put you at the disadvantage of starting last in the field. This is particularly a disadvantage in this game because the other car simply do not seem to react to other cars, and often trying to pass will result in a crash. These crashes are then replayed in all their spectacular glory, which is a nice touch, but the amount of slow loading screens you have to sit through during the process from crash to pit to back on the track after a caution is excruciating. For those of us who love racing but aren’t particularly skilled at it, it’s a nice feature that you can advance in the game and earn sponsors even when you don’t perform particularly well. You are awarded contingency awards for things like finishing a race, and you just keep moving through your career no matter what you placed. While placing low in the field won’t put you in the runnings for a championship (and will get you lovely pep talks like “Well, it could have been worse,” and “At least you finished the race”), it does give you a fun racing experience without the frustration.